“Yikes!” was my first thought about the prospect of cooking for forty, it is a daunting prospect. But I’ve done it six or seven times now and it’s been one of the most rewarding things I’ve done since moving in last September. Sharing food and our meals are an important time when both children and adults eat together in the Common House; it’s a great time to talk to and get to know one another. I also love taking the time at the end of a meal to sometimes read or tell stories to some of the children (it lets mums and dads off the hook for just a few minutes too). I eased my way in to the whole ‘big cooking’ process by being second cook, effectively veg peeler and chopper and wash-up-as-you-go person for the first few meals. The most memorable being a burrito brunch on Boxing Day for neighbours and their family and friends. We’ve had Emma’s burrito brunch about three times now and it’s a firm favourite. I’ve braved being lead cook four times now - something that includes deciding what to cook (not as scary as you’d first think), acquiring the right quantity of ingredients (work in progress), reassuring your assistant and timing. So far everything has gone according to plan with the exception of buying broccoli far too early in the week, by meal day it had gone a bit yellow... However nobody seemed to notice or they were too polite to say anything (so please don’t tell anyone). So, ahem, moving on … My repertoire now includes veg crumble, cauliflower cheese/seed, red dragon pie (mung bean shepherd’s pie for the uninitiated) and pasta with a choice of three different sauces. (And a couple of pans of soup and prize winning vegan chocolate brownies – but that’s a different blog post). One thing I’ve discovered: I’m an okay cook (phew!). The greatest compliments have been when folk came back for seconds (or thirds - but I won’t name names), asked for the recipe, and when the assistant cook said is was stress-free (hurrah!). All leftovers have been quickly polished off the next day for lunch (so making too much has never been an issue) and I’ve forgotten who I loaned the veggie crumble recipe book to (it’ll turn up). We are a group of people building a cohousing development with private homes, community facilities, workshops/offices and shared outdoor space on the banks of the River Lune at Halton, just outside Lancaster. See our website for more details. 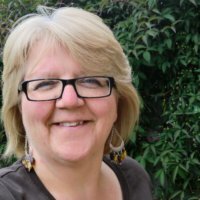 Blog created by Jo for Lancaster Cohousing. Picture Window theme. Powered by Blogger.